Do Non-Solicitation Clauses Pose Conflicts of Interest? I would sincerely like to ask my professional services readers, and particularly those in the legal profession, for some help. I’m not being snarky or sardonic this time, this is a genuine request for perspective. Professional services firms commonly have several clauses affecting relationships with their employees and subcontractors. The list includes non-competes, intellectual property restrictions—and non-solicitation clauses. It’s this last one I want to focus on. Or, in simpler terms: hands off–that client belongs to the company, not you, and we’ll sue if you try to steal ‘our’ client from us by doing what we hired you to do. As you can tell, there is something that rubs me the wrong way about this. Yet I also have a feeling I’m missing something. Most things in life exist for a reason. I may be missing a big fat reason on this one. Here are the arguments against such clauses, as I see them. • Firms requiring this clause position their clients as property to be bartered over. The phrase “who owns the client” has to be somewhat offensive to the putatively owned client. 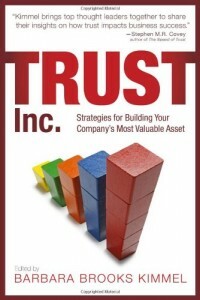 •	There is an inherent conflict of interest with the principle of client service. Say an ex-employee or subcontractor develops a better product, at a lower price, offering greater value, and meeting a need clearly expressed by a client of the existing firm. Non-solicitation clauses mean the employing firm is preventing their client—to whom they are presumably devoted to giving great service—from even hearing of the potential better deal. This is a “dog in the manger” strategy. It may not be legal restraint of trade, but isn’t it a violation of basic client service principles? But, what’s the other side? What’s the social rationale for non-solicitation clauses? Can someone offer an explanation of how they are, on balance, in the best interests of client, employer and employee together in the long run? Thanks in advance for any enlightenment; I look forward to the dialogue. 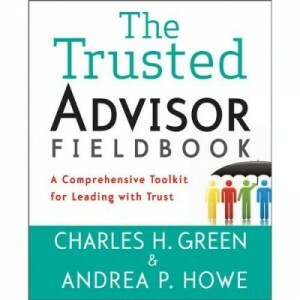 http://trustedadvisor.com/public/trusted_advisor1.png 0 0 Charles H. Green http://trustedadvisor.com/public/trusted_advisor1.png Charles H. Green2008-04-21 10:00:002008-04-21 10:00:00Do Non-Solicitation Clauses Pose Conflicts of Interest?